Traveler Reviews for Private Tour in Messina, Sicily, Italy by Tour Guide Diego L.
About Diego L. Message Diego L.
We were a family of 4 traveling on the Celebrity Equinox. 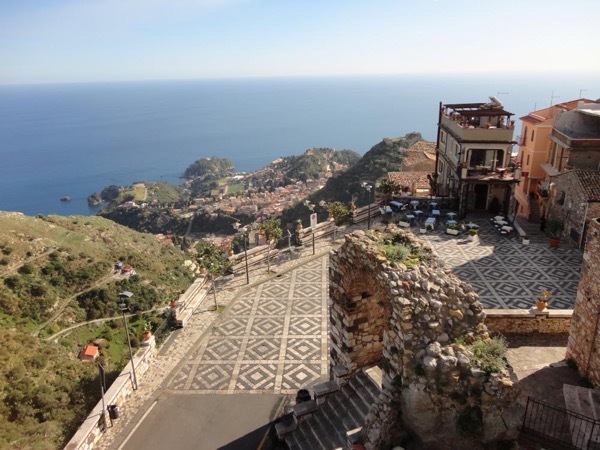 We selected Diego's Tour of Taormina/Castelmola. He was awesome. He was at the pier waiting for us when our ship docked. He had a sign with our name on it. We got going right away.. He had water for all of us. His Van was clean and rode very well. We enjoyed our trip very much. He communicates extremely well with exact plans. He even texted me while we had free time to make sure we were doing okay. i would highly recommend..
Diego was the perfect guide for Messina and Taormina. A native of Siciliy he provided a rich historical and cultural background of Siciliy, adding some personal notes along the way that made the tour seem more all the more special. I highly recommend Diego -- he is a gentleman, thoughtful of our interests, and always courteous and kind. Sorry we didn't see your favorite bar, Diego! (But we certainly heard a lot about it later).